The Lake Tahoe-Truckee area has had a cloud seeding program for a number of years. The program is designed to wring-out additional moisture from the clouds to increase the local snowfall and resulting snowpack levels. The program is administered by Reno’s Desert Research Institute (DRI). 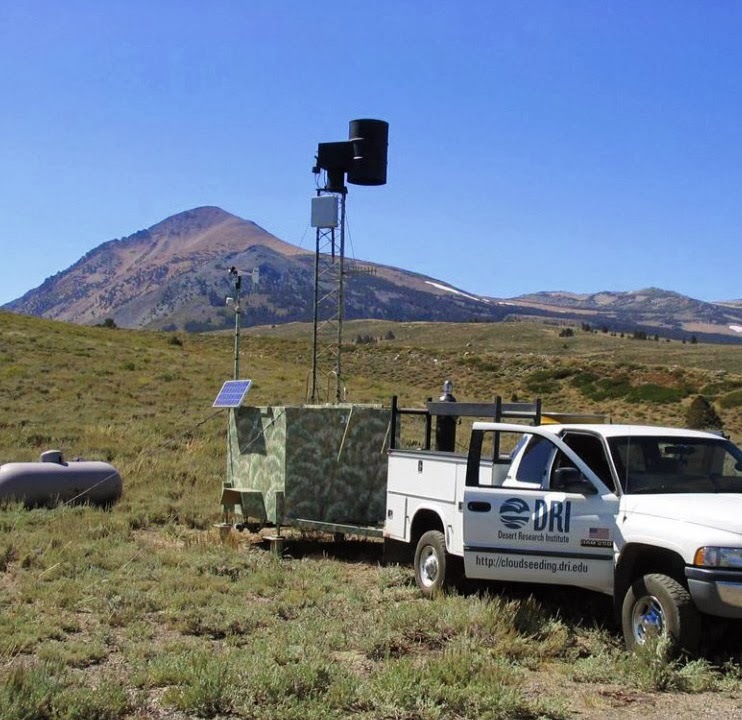 DRI controls cloud seeding programs in the Walker Lake Basin and Northeast Nevada as well. The Tahoe-Truckee cloud seeding program uses five mountaintop generators that spray particles of silver iodide into storm clouds. These “generators” burn a solution of silver iodide, sodium iodide, salt, and acetone to release microscopic silver iodide particles that create additional ice crystals. The generators are remotely operated by phone line, radio, or cellphone. 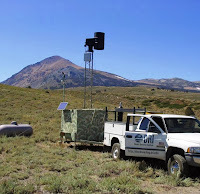 The current funding for the cloud seeding program is from the Southern Nevada Water Authority, Truckee Meadows Water Authority, the Bureau of Reclamation, and the Western Regional Water Management Fund. The annual cost to run the program is $1 million dollars. The DRI pioneered a technique which uses trace chemical analysis of snowfall to assess environmental impacts as well as effectiveness. Trace chemical analysis shows cloud seeding operations produce a seasonal 8 percent increase in the snowpack where it is used. Some cloud seeding is conducted from airplanes. The DRI will be studying the feasibility of using drones (unmanned aircraft) to seed clouds from the air.